Each Tuesday evening brings a different kind of music, from jazz to swing to country, and even to Caribbean. Watch the sun set over the Smith Fountain. Concerts are from 6 to 8 p.m. Please Note: You are encouraged to bring your own chairs as the Garden has a limited supply available each evening. 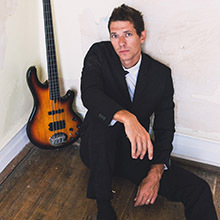 The Kal Bergendahl Project is a six-piece instrumental jazz-funk band. 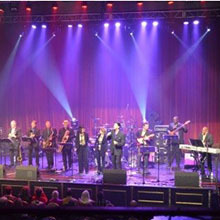 The vibrant unit features some of southeastern Wisconsin’s most familiar jazz faces, displaying extraordinary musicianship and technical precision. Blending free-flowing funk and memorable melodies, the ensemble is driven by a stellar three- piece horn section. Groove and melodic hooks are constantly woven in their deeply focused musical landscape of jazz-funk, R&B, and soul. 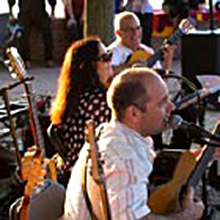 The Fernandez & Kimball Spanish Guitar Trio shares a love for Spanish guitar music and have been performing throughout Chicago and the United States since the early 1990s. Through years of collaboration, they have transformed many styles of music into a vast Spanish guitar repertoire. They have traveled to Spain, Italy, Cuba, California, and New York, where they have performed with world-renowned artists. Luciano Antonio was born into a musical family in rural Iretama, Parana, in Brazil’s southern region. He learned first how to sing with his mother and further developed his vocal abilities through his grandparents. By age 14, he took the violão (acoustic guitar) as a self-taught instrument, focusing his repertoire on Brazilian folk and bossa nova. He continued his pursuit of technical development through the study of classical guitar at age 17, attending several guitar symposiums, workshops, and master classes under one of Brazil’s most respected professors, Henrique Pinto. His most recent accomplishments include the release of his third album Luciano Antonio Quintet—Live At Jazz Showcase with special guests Breno Sauer and Neusa Sauer and tours in Italy, China, and Brazil. 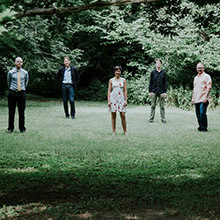 Nine Worlds Ensemble is a unique approach to chamber music. With backgrounds in classical, jazz, pop, and rock, Nine Worlds bring a diverse approach to music performance. This approach to music results in the accessibility of pop music, the improvisation of jazz, the groove of world music, and the sensitivity and emotion of classical music. Nine Worlds features a unique instrumentation of violin, marimba, acoustic guitar, piano, upright bass, and percussion that delivers a wealth of musical colors to enjoy. Equally comfortable in the club as the concert hall, the mission of Nine Worlds is to bring their eclectic brand of chamber music to a wide variety of venues and listeners while breaking the mold of expectations in chamber music. The songs of Brad Cole address the ups and downs of the human condition with both wit and raw insight. His passionate and distinctive delivery of roots-based folk music, woven with the grit and groove of old school bossa and rhythm and blues moves the listener’s soul in a direction that is unexpected, yet perfectly familiar. In the past two years, Cole has played more than 100 shows and shared the stage with artists such as Chris Stapleton, Shovels and Rope, Ingrid Michaelson, The James Hunter Six, Dave Davies of the Kinks, Dan Navarro, and Will Kimbrough, to name a few. In 2016, Cole released his fourth full-length record Lay It Down. Recorded in East Nashville, Tennessee, with producer Joe McMahan and a veteran cast of musicians, resulting in a project that is perhaps Cole’s most soulfully eclectic and cohesive work to date. In 2016, his life and music became the main subject of a short film titled Cole Soul by award-winning filmmaker Steven Weiss. 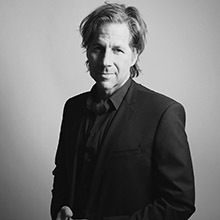 Currently based in New York City, Brad Cole tours extensively both as a solo acoustic performer and with his full band. 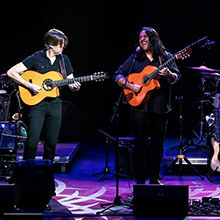 The Fernandez & Kimball Spanish Guitar Trio share a love for Spanish guitar music and have been performing throughout Chicago and the United States since the early 1990s. Through years of collaboration, they have transformed many styles of music into a vast Spanish guitar repertoire. 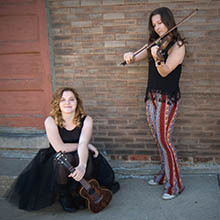 They have traveled to Spain, Italy, Cuba, California, and New York, where they have performed with world-renowned artists. 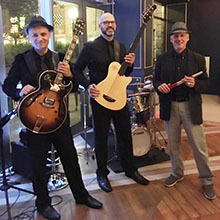 The Nascent Jazz Project (NJP) is a popular Chicago-based ensemble specializing in modern & standards jazz, Latin, and contemporary popular music. NJP features Gabriel Datcu on guitar, Marc Malitz on bass, and Ed Kriege on drums. Callaloo is a world fusion steel pan group performing original compositions in Chicago. 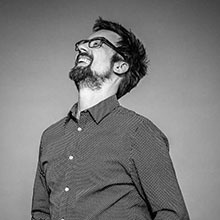 Scott Johnson, Callaloo's composer/arranger, began writing music for Callaloo that was built on strong, sophisticated Latin/Caribbean rhythms and recently began exploring and incorporating other styles, that have proven to deliver a powerful musical experience. The percussion-based group employs an amalgam of instruments—steel pan, marimba, ethnic percussion, drum set, nylon string guitar, electric, and acoustic bass—while combining composed, orchestrated parts with improvisation. The percussionists switch instruments from song to song, adding to the visual element of their performance. The acclaimed Los-Angeles-based group Incendio performs original “world guitar” compositions, featuring incredible guitar-playing across a variety of genres: Latin, Middle Eastern, and Celtic grooves. Formed in 1999, the group has nine CDs and two DVDs available internationally, variously hitting the Billboard, CMJ, NAV, and Amazon.com charts. Averaging more than 150 shows a year since 2000, Incendio’s live performance is an explosive improvisatory journey, garnering tremendous audience response in such diverse venues as the National Gallery of Art, Reston Town Center, Strawberry Music Festival in Yosemite, the Sundance Film Festival, National Gallery of Art in Washington, D.C., California World Festival, the Beishan World Music Festival in China, the national Levitt Pavilions and many more across the United States. The group will promote its new 2019 CD “Summoning the Muse,”across the United States this summer. 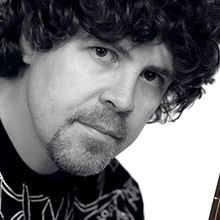 Joel Styzens is a multi-instrumentalist, film composer, producer and hearing conservation advocate specializing in drums, percussion, guitar, piano, and hammered dulcimer. Styzens has been featured on National Public Radio and in such publications as Time Out, the UK Hearing Times, and the Chicago Tribune. He continues to compose music for a wide range of projects, including film, animation, television, and his own ensembles. He is a full-time faculty member at Chicago’s renowned Old Town School of Folk Music and will be joined for the Chicago Botanic Garden performance by guitarist Eli McLaughlin and bassist Jason Toth.